According to Global Rev Gen’s executive director Rob Brown, there are three big reasons why non-Chinese companies fail when it comes to doing business in China, which he revealed during his presentation at the Access China Summit 2017. In part two of this three-part series, we revealed the second reason: “red ink”. This was the term Brown used to describe how the assumptions companies bring in from other markets can be devastating when applied to the Chinese market, as demonstrated by the missteps and failures of eBay, Home Depot and KFC. In part three, we’ll be covering the last category: “red envelopes”. In China, it is customary to give bright, beautifully decorated red envelopes (known in Mandarin as “hóngbāo”) filled with crisp notes of money to friends and family. Contrary to might Westerners might believe, however, the significance of these red envelopes is not in the money inside – it’s in the envelope itself. Its red colour is a symbol of good luck and prosperity, and is used to ward off evil spirits. It’s of course normal for companies to attempt to capitalise on local customs and traditions such as this. In fact, in 2014, WeChat introduced a “virtual red envelope” feature, allowing people to send money via its mobile payment platform. Since its introduction it has exploded in popularity. In 2016, 32 billion virtual red envelopes were sent and received over the 6-day Chinese Spring Festival; forecasters predicted this number would reach 100 billion in 2017. 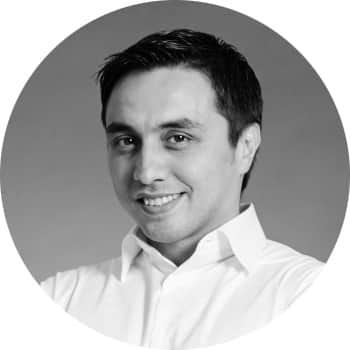 Non-Chinese companies, however, have to be particularly careful in their attempts to use local customs and traditions in their marketing, as any slip-ups will be viewed harshly. 2016, the year of the monkey, was a year particularly rife with marketing gaffes. Brown discussed how Nike, Givenchy and Louis Vuitton marketing campaigns failed in China. In 2015, Nike released limited editions of the Nike Air Force 1 shoe, with bright pink and green lotuses on the tongue and a fat baby’s head printed on the heel of the insole. While these are indeed cultural symbols, one critic said the shoes looked like “Nike had hired some farmer as a designer”, with many calling them “village style”. Others said the red lettering on the heel also made it look like the shoes were fake. That wasn’t even Nike’s only blunder. 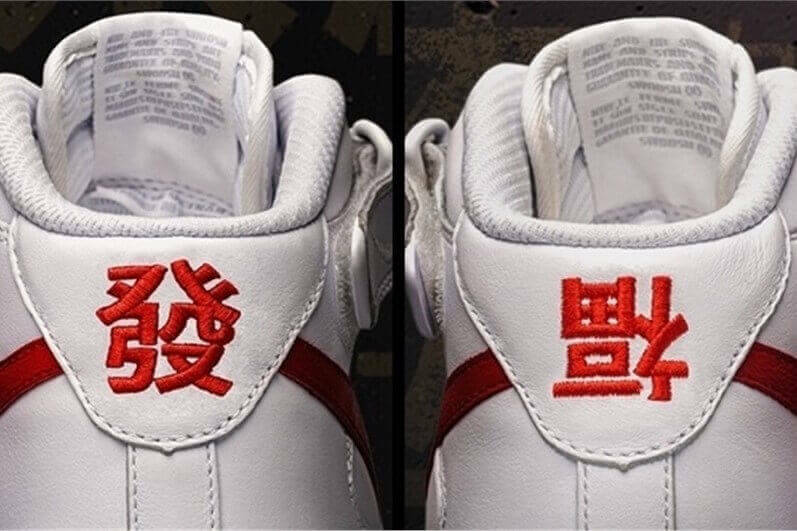 A day later, they released another limited-edition pair, with the option of adding Chinese symbols to the heel of the shoes. One of the symbols was “Fa”, which translates to “Getting rich”; the other, “Fu”, which translates to “Fortune arrives”. All above board so far. What Nike didn’t consider was that, combined, “Fa Fu” translates to “Getting fat”. This led to yet more widespread mockery on social media. 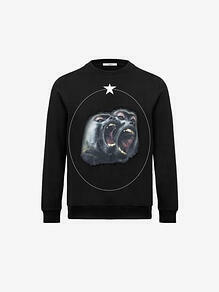 Givenchy’s “Monkey Brothers” t-shirts and sweatshirts (which retail for a cool $790 on their US website) unfortunately failed to get as much traction as they had hoped in China, with consumers complaining the monkeys looked like orangutans in “tawdry eye shadow”. 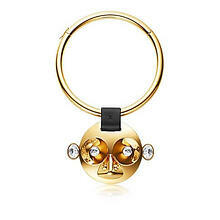 Louis Vuitton’s monkey-themed Vuittonite jewellery range was also widely panned when it was posted on influential fashion blogger Gogoboi on his Weibo page, receiving hundreds of negative comments, with many people saying it resembled an “alien”. One commenter even called it “too creepy to look at”, while another WeChat poster wrote, “You've got to be kidding me. Do monkeys in the real world look like that for them?" Not comments you want to be hearing for an item that retails at $2450. How should non-Chinese brands appropriate red envelopes? 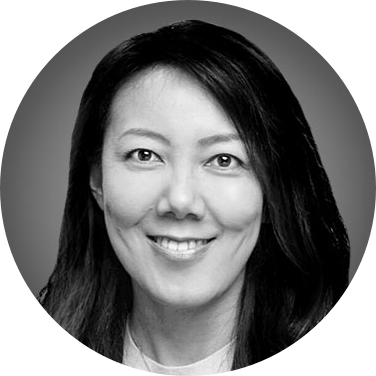 As Chinese consumers, particularly those of the younger generation, get ever more sophisticated, non-Chinese brands need to be more careful than ever. 1. Be careful not to misunderstand or misinterpret cultural icons: As evidenced by Givenchy’s design, consumers will react negatively if it seems the brand has not properly understood or appreciated the cultural symbolism or iconography specific to the country. ETRO made a similar mistake when this year they released a scarf with a phoenix pattern on it – ostensibly to celebrate the year of the rooster. 2. Stay away from overused tropes: Chinese consumers are increasingly bored of red and gold themed products, and may react more positively to richer, lesser known, more authentic symbols. 3. Don’t use cultural symbols that don’t fit your brand: In 2014, Hermes and Longchamp had great success with their horse-themed products, as this symbol closely aligned with their brands. But, as Longchamp found, it is not enough to simply slap a cultural icon on a product, as shown by this year’s rooster-themed bag. 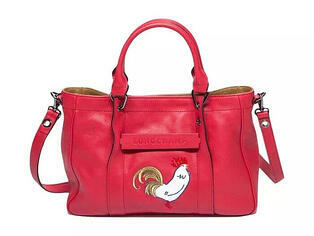 “Simply adding an image of the rooster on a red-and-golden bag just has no sense of aesthetics,” said one online commentator. 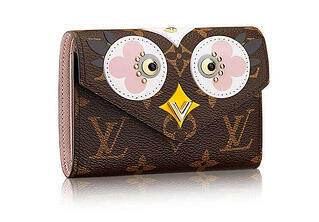 Louis Vuitton, for one, seem to have got it right this year, with their bird-adorned wallet collection becoming very popular. While it might be argued the bird resembles an owl more so than a rooster, consumers felt it was perfect for the gift-exchanging season, with one calling it “adorable”. Many have accused China of simply ripping off Western innovations, said Brown, acknowledging Facebook clone Xiaonei and Twitter clone Fanfou. But this is missing the fact that China is evolving very fast. Just as a child learns by copying those around them, so too has China. But after copying comes iteration, and then innovation, and this is the phase we are seeing in China now. 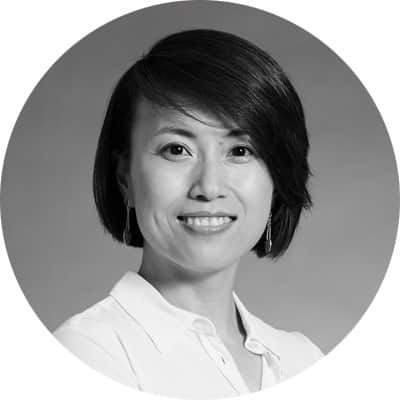 While they may have initially copied the functions of Western applications, they are now taking them in a whole new direction, as we are seeing with platforms like WeChat that integrate the functions of several different apps into a single ecosystem.